November Election Results – 50 Victories! GROW Elect is proud to announce that, even as final votes are still being counted, we are on track to celebrate 50 new election victories for Latino Republicans in California! These new November wins, added to our previous successes, bring our GROW Elect candidates to over 170 campaign victories! 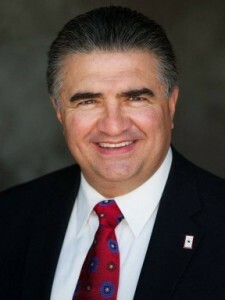 Dante Acosta is a successful businessman, Mayor Pro Tem of the City of Santa Clarita and a Gold-Star father. Dante’s positive campaign was able to overcome and defeat a misleading, expensive and nasty campaign against him funded by labor and other liberal special interests. Dante’s rise as a local candidate to become the Assemblyman-elect is a vivid illustration of the GROW Elect model for aspiring Latino candidates. GROW Elect supported Dante in his earlier successful run for Santa Clarita City Council, and continued with an effective independent expenditure for this successful Assembly campaign. Jesus Andrade, a young Latino from the Central Valley and first time candidate, ran a successful race for a city council seat in his hometown of Stockton. GROW Elect supported Jesus because he represents a new generation of young dynamic Republicans in the Central Valley. Big Night for Republicans on the Santa Ana School Board! The GROW Elect team is especially proud of the successful campaign for two seats on the Santa Ana Unified School District. GROW Elect candidates Cecilia “Ceci” Iglesias (Pictured Above) and Angie Cano (Pictured Below) defied the odds and an onslaught of negative union money against them. As final votes are still being counted, it looks like Ceci is the top vote-getter and Angie narrowly won a seat on the board! This school board race is viewed as an important step for expanding educational choice in the district to allow Latino parents to send their children to charter schools. Ceci and Angie are champions for education for all children, and GROW Elect is proud to have been a part of their electoral success. 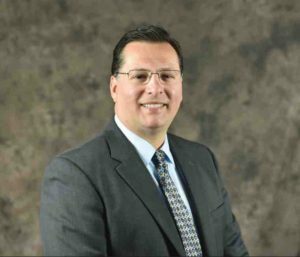 Roland Velasco: There’s a New Mayor in Gilroy! Roland Velasco is the new Mayor of the City of Gilroy! GROW Elect supported his earlier election to the Gilroy city council and also this November’s successful campaign for Mayor (against a sitting incumbent) with an effective independent expenditure campaign that highlighted Roland’s experience and connection to the community. With the support of GROW Elect, first time candidate Esther Valdez won a contested seat on the Coronado Unified School District. An effective voter contact and mail program proved successful in Esther’s overwhelming victory on Election Day. GROW Elect helped Mike Diaz win a very close race for Chula Vista city council against a well-known local politician in the city. Mike’s message of providing representation to a neglected community in that diverse city in San Diego County was amplified by GROW Elect independent expenditures including mailers and phone calls.